With all the crafts that I do I go through a lot of glue sticks. I always hate the idea of throwing them away…. I always try to find crafts that I can make out of recycled items. And, glue sticks are no exception. 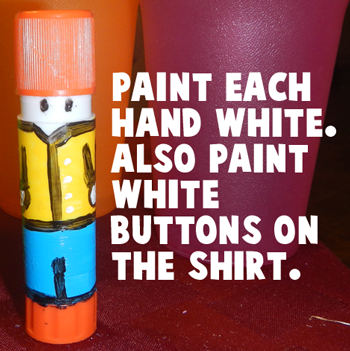 Here is a great craft you can make with your used glue sticks. 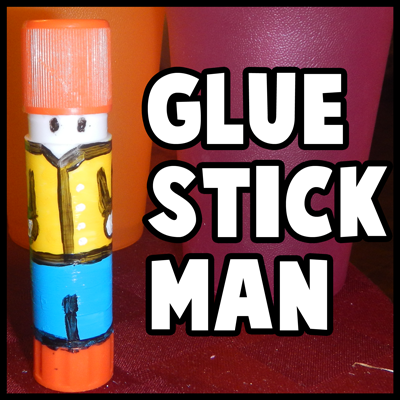 Today I’m going to show you how to make a Glue Stick Man out of your recycled glue sticks. You will see what a great feeling you get from making something out of recycled materials. Plus, you get a very cool toy man. Check out our other Green Environmental Crafts. 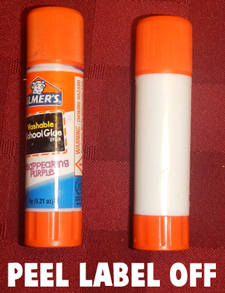 Take an empty Glue Stick and peel the label off of it. 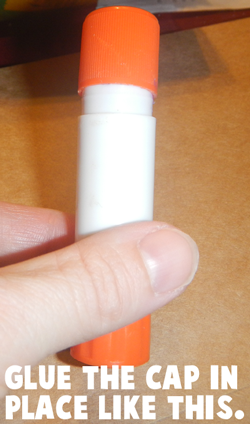 Glue the cap in place like this. Paint on clothes or glue on clothes with paper, foam or felt. If painted clothes, then use black paint to outline. Paint a sleeve on each side. Also, draw a dot for each eye. Draw a circle for each hand. Paint each hand white. Also, paint white buttons on the shirt. How adorable is this little guy? So adorable!! 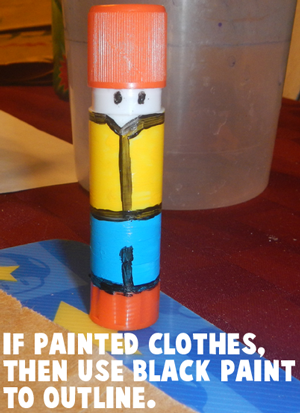 Make a few of these Glue Stick people and you can have a small family. What a great way to recycle those used glue sticks.